Our client came to Resi looking for a ground floor wraparound extension in order to create a home that was brighter and more open plan. 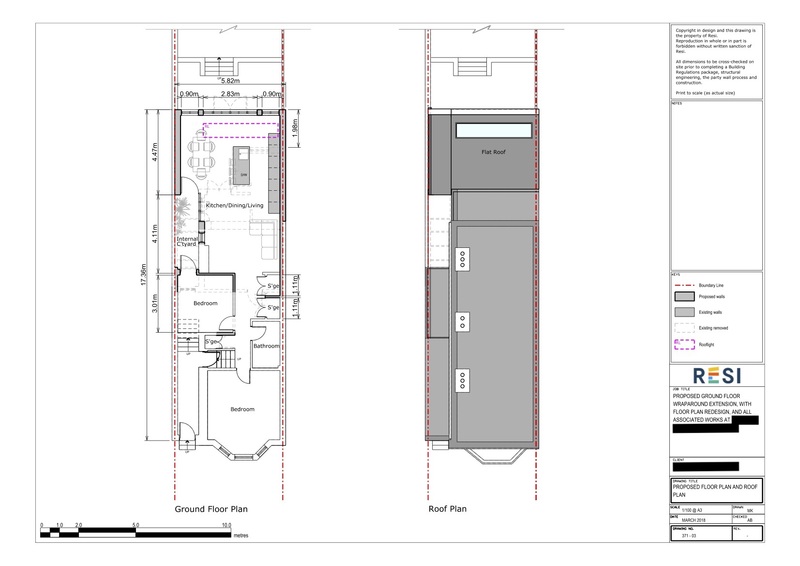 They worked closely with our to design team who drew up a plan that would take advantage of the extra space added to the property in the best way possible. 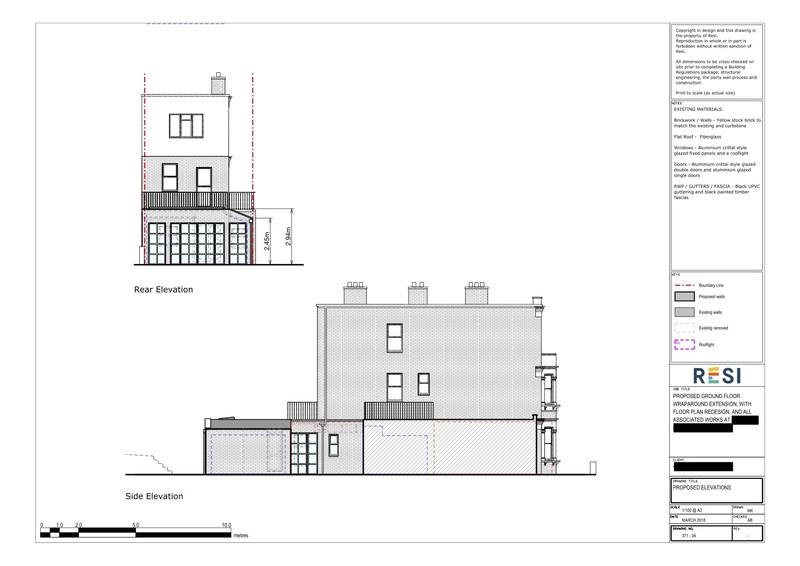 This project was carried out under full planning permission which was granted on 6th June 2018. Our aim here at Resi was to create a design that took into account the client’s need for light and open space - essentially, to open up the property. They wanted to remove wall sections from the kitchen and the hallway to create a more spacious living area, but were very open to ideas on details regarding layout. This was a great project for both us and the client... we had so much extra space to work with due to the extensive nature of the renovation. We started by knocking through the wall that separated the kitchen and the living area, which left us with a large open plan room with a central island - this would then become the combined kitchen and dining area. To meet the client request of extra light we added a wide skylight that ran across the kitchen roof, and to enhance this even further, large glass double doors were built into the exit at the rear. Next to the kitchen area we added a brilliant little internal courtyard, perfect for summer evenings.